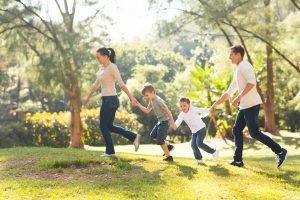 If you are searching for properties in Atlanta, Georgia that are perfect for families and have a welcoming atmosphere, Brookwood has some of the best neighborhood qualities available. The neighborhood is located 15 minutes north of downtown Atlanta and provides many real estate options for families and professionals. The Brookwood neighborhood is on the Atlanta Beltline, leading right into the city’s downtown life. One of the best qualities of the area is its family orientation and nightlife availability. Residents will find plenty of things to do in the neighborhood, both with their families and on a night out. Potential residents in the Brookwood neighborhood can find a variety of houses and condos within the area. On average, houses in Brookwood are valued at a little over $263,000 and the median rental price of Brookwood’s real estate is close to $1,300. Many single family and multifamily spaces are available in the neighborhood, both for sale and as rentals. Single family homes in Brookwood are usually priced between $150,000 and over $1 million depending on size and amenities. A contemporary three bedroom house can range from $325,000 to almost $700,000, but can cost more with special characteristics such as a pool. Four and five bedroom houses are usually over $700,000. Homes for rent in Brookwood can be fairly pricey as well, with a three bedroom rental easily reaching $4,000 monthly. Apartments and condos for sale in Brookwood can cost anything from $100,000 to over $250,000 for a two bedroom, depending on the amenities and finishes. Three and four bedroom condos often reach prices from $180,000 to over $450,000 based on the same criteria. Apartment prices for rentals can begin around $1,700 per month for a two bedroom and rise to about $2,200 or more for three bedrooms and above. Brookwood houses are located just off the Downtown Corridor highway that takes residents straight into the city center. Clear Creek Nature Preserve is also very close-by and neighborhood residents can drive there in under five minutes. The area is close to various parks and entertainment shops, and it offers a large selection of grocery stores, food, bars and shopping centers for families and professionals to relax and enjoy. With a median household income of close to $75,000, professionals, entrepreneurs and families searching for real estate in Atlanta are great fits for the Brookwood area. Most residents in this neighborhood have higher education credentials, with almost half holding bachelor’s degrees and another third holding master’s degrees. In addition, Brookwood houses crime levels are rather low, earning a “B” grade for crime and safety and being listed as number nine out of 167 for the best neighborhoods to buy a house in the city of Atlanta. The public schools in the neighborhood earn an overall “B” grade and Brookwood was given an “A” grade in respect to family wellness.